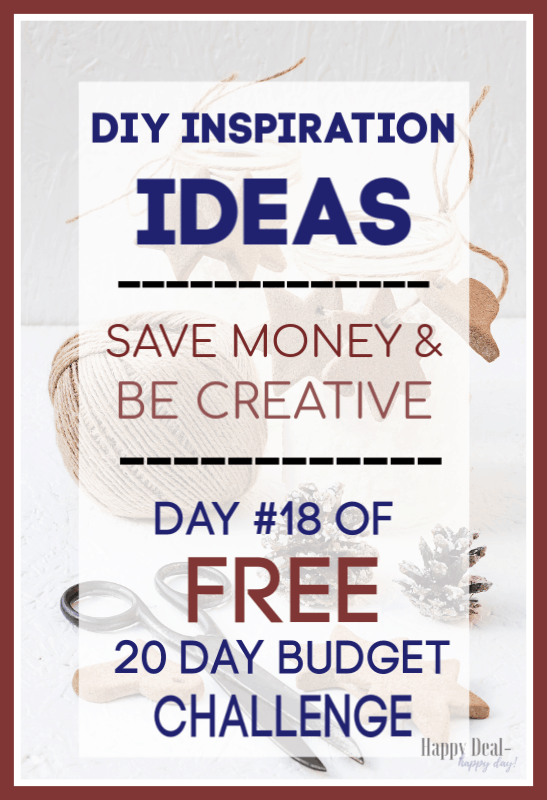 20 Day Budget Challenge: Day #18 DIY Projects: Save Money & Be Creative | Happy Deal - Happy Day! 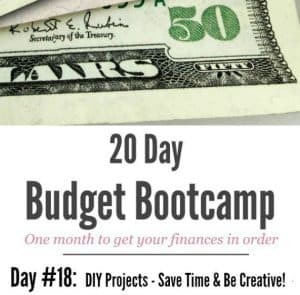 Welcome to Day #18 of the 20 Day Budget Challenge! Today’s topic is one of my favorite because one thing I love to do is to craft and create my own home decor items. I also love finding old treasures from yard sales or thrift stores and re-purposing them for something great. Homemade Lavender Soap – make 12 bars in an hour and comes with free printable soap labels! 2. Make your own home decor. I love going to Michaels – and not just for decor items, but for inspiration on what I can go home and craft myself! In fact I was inspired by a picture in Michaels to learn how to make flowers using a flower loom. I always leave that store seeing a trendy home decor item that I could make myself for half the cost. Here are a few more home decor projects I have recently done that will hopefully give you inspiration! DIY Entertainment Center Ideas – Don’t Throw Away The Old One! 4. Re-purpose an item. I love find a new or unusual use for something that could just end up in the garbage can! Up-cycling is so much fun – especially when you find an item at a thrift store for dirt cheap and give it new life. Doing this is one of my favorite hobbies! How To Make A Plarn Tote With Old Grocery Bags – Decorated with Toothpaste Tubes! 5. Create a business out of what you make! I remember needing stronger magnets for my daughters artwork that she would bring home and put on the fridge. I remember my husband telling me to get some rare earth magnets because they would be strong enough to hold up cardboard on my fridge. I then started playing around making my own magnets – and then it grew into making magnetic boards to use the magnets with. Soon I was creating a bunch of inspirational magnet boards to use as decor items. I decided to start selling them and opened an Etsy and Handmade Amazon Shop! 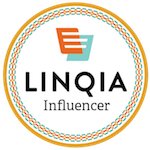 Do you have a project that you could easily make over and over again and sell it? If so, I’d love to see ideas. Or if you already have your own handmade shop – come and tell us about it over on our Budget Challenge Facebook Group! If you’d like all 20 days of info from this FREE 20 Day Budget Challenge – sign up below!